Meet Gunner, a 4 year old German Shepherd Dog with the heart of a lion. His journey started on a small farm in the middle of nowhere Maine and over the past four years of his life has exceeded all expectations of him. Gunner has always done what most would consider morally right even by human standards, proving himself as more than just a dog but a friend to most he meets. Whether he's helping feed the tortoise, meeting people at a bbq or keeping guard as you trudge through the deepest parts of the woods he is by all standards a true German Shepherd Dog. 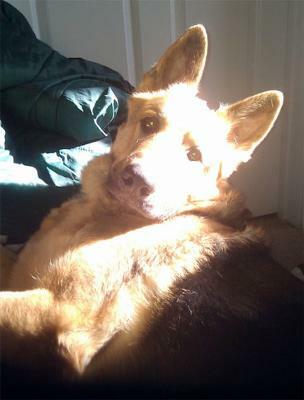 Gunner is a Great dog, a GSD and he is so cute too! You are both Lucky to have each other. He is your Protector! Take care of Gunner and he will take care of you! I really enjoyed reading about Gunner! Thank you for sharing. Gunner is a very loyal & compassionate family member. He sounds like a fine dog and it's stories like these that inspires people to have one as a pet themselves.